Used for creating expandable, drop-down menus. You can pick colors, how many levels deep it will display, the alignment, cell width, and more. Check out the screencast. 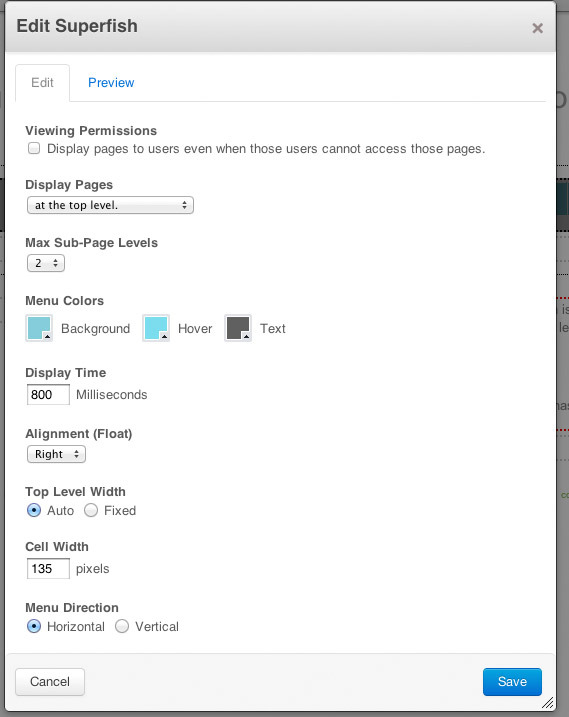 superfish dropdown menus - concrete5 from concrete5 on Vimeo.